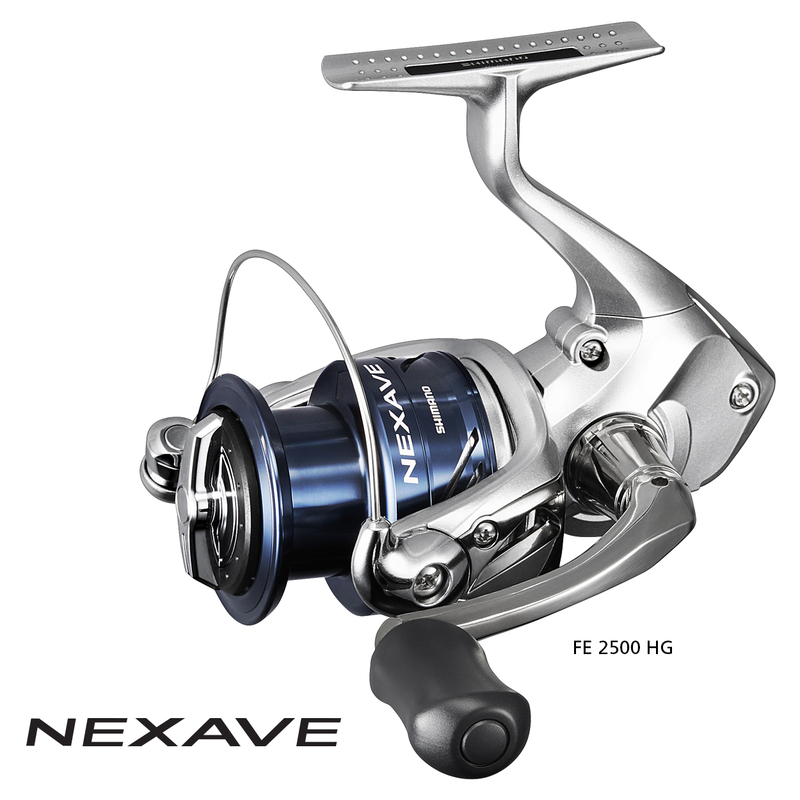 The Nexave spin reels represent great value for money for an entry level series, perfect for newcomers and kids who need the right start in fishing. An XT-7 body keeps weight down, while three shielded stainless steel ball bearings and one roller bearing makes winding the single piece aluminium handle as effortless as can be. Gear ratios range from 5.0:1 through to 6.2:1 depending on the model, and drag power is from three kilos on the 1000 size, up to 8.5 kilos in the 3000, 4000, and 5000.